Duplicate products were being displayed when using the productspage shortcode on a Page. This tends to happen if you use the drag and drop sorting of products while viewing all categories. That’s right, you’ll get duplicate products and sometimes not all of the products will show up too. While this is annoying it’s quite easy to fix. 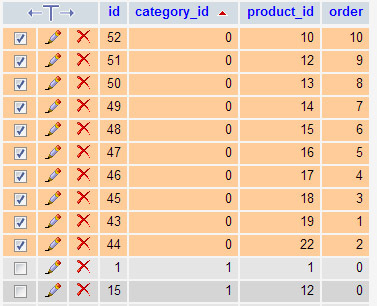 Go into PHP MyAdmin and the wp_wpsc_product_order table and remove all products with a category id of 0. Refresh your site and it’s fixed. If there is still an issue after removing the category id of 0, then remove any duplicate product_id rows in the wp_wpsc_product_order table too. PLEASE NOTE: It’s always a good idea to take a backup before making any alterations.